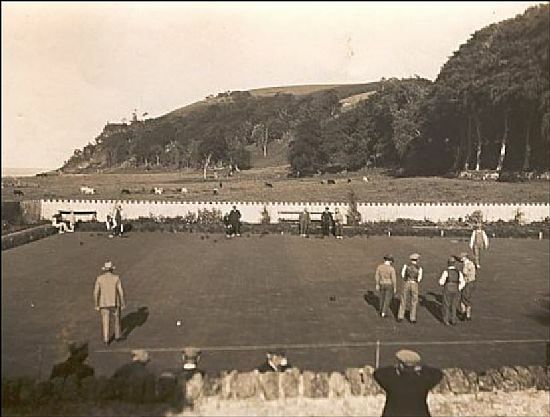 Just a few pictures from the archives. Click on a photograph to enlarge. 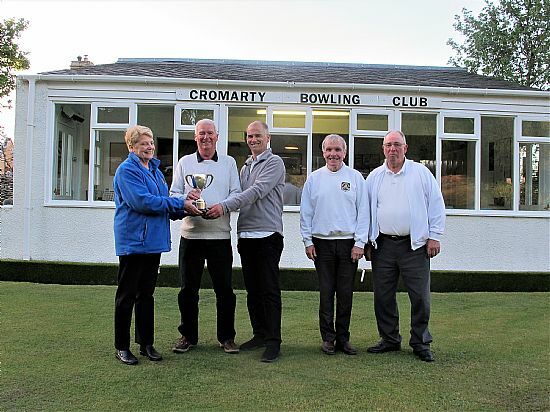 David Cowan won the Jack Mackay trophy for 4-bowl singles (indoor) on 3rd February 2019. The trophy was presented by Club Indoor President Evelyn Wilson. 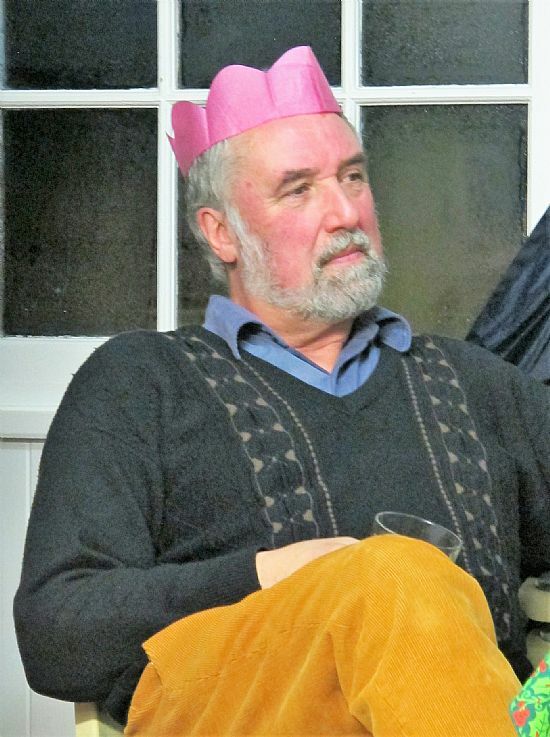 The runner-up was Frank McKellar. 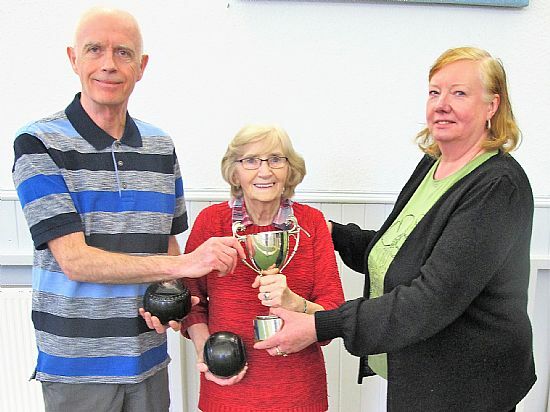 Katie Sutherland, Sherrie Mackenzie, Alister Mackenzie from Rosemarkie bowling club, winners of the inaugural Cromarty Open Triples indoor competition. 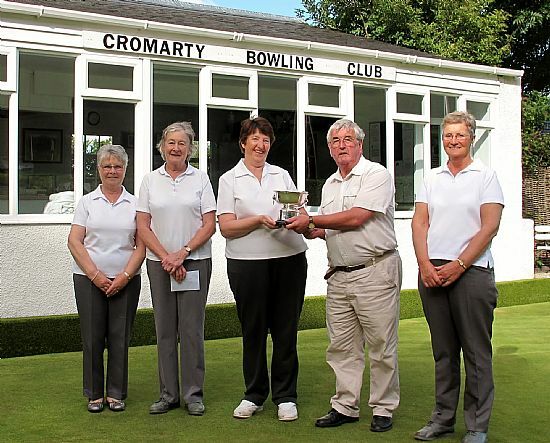 The trophy was presented by Club President Evelyn Wilson who also donated the trophy. 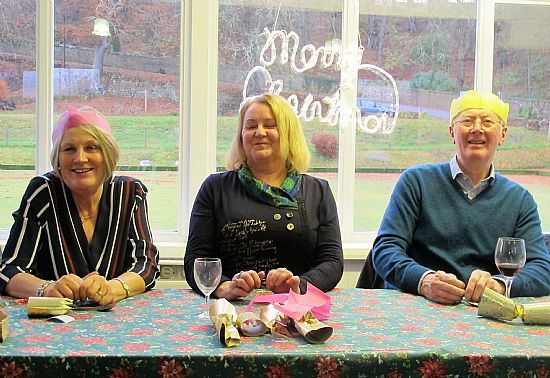 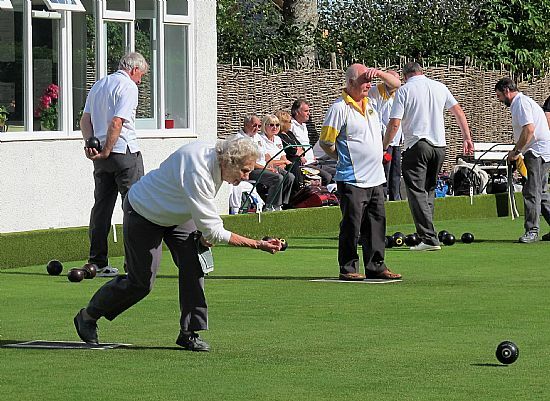 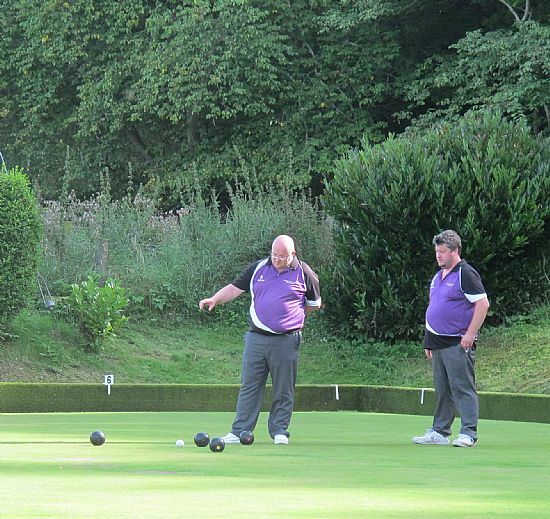 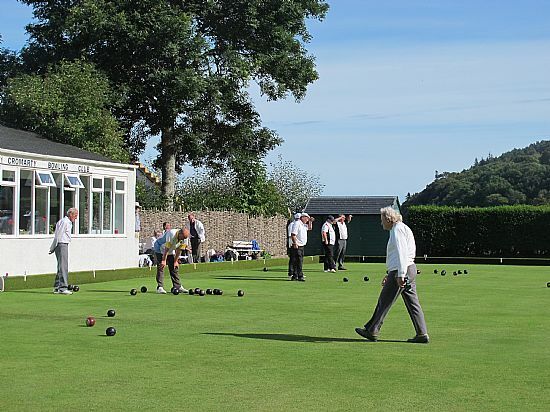 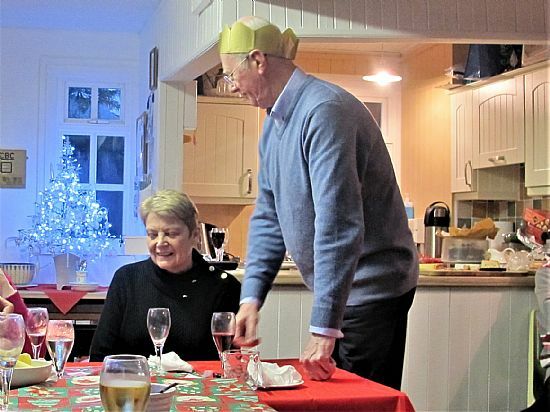 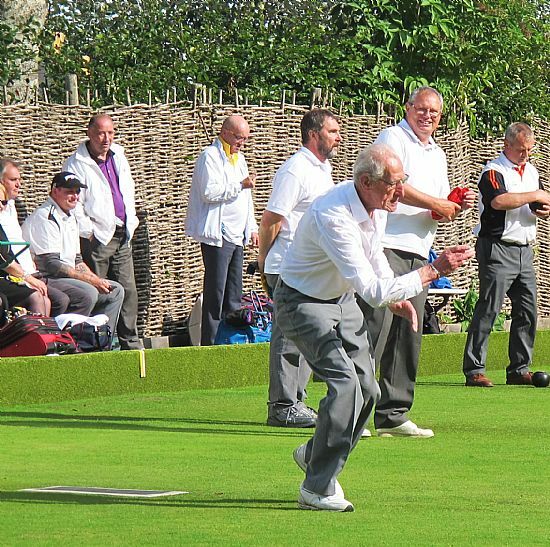 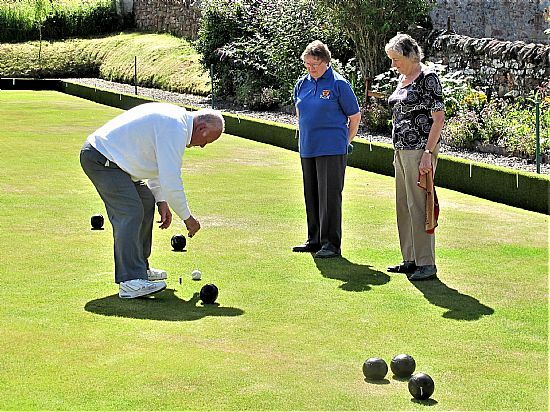 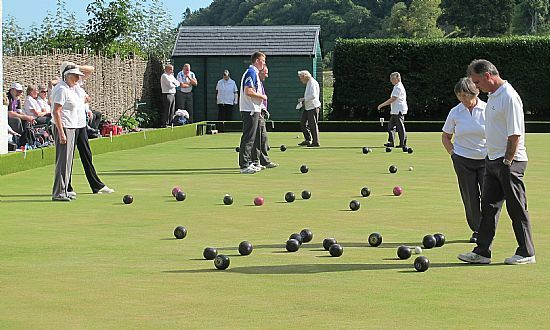 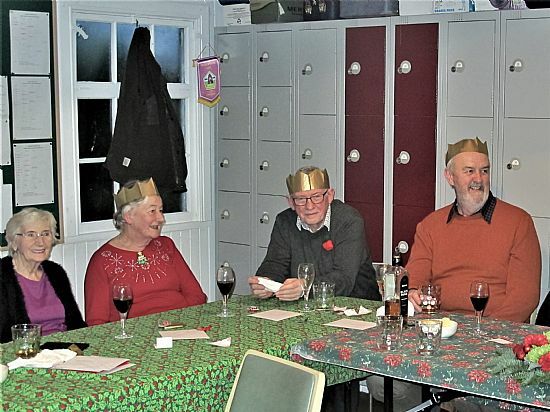 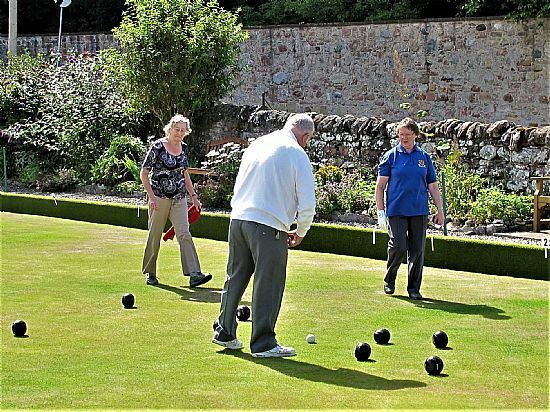 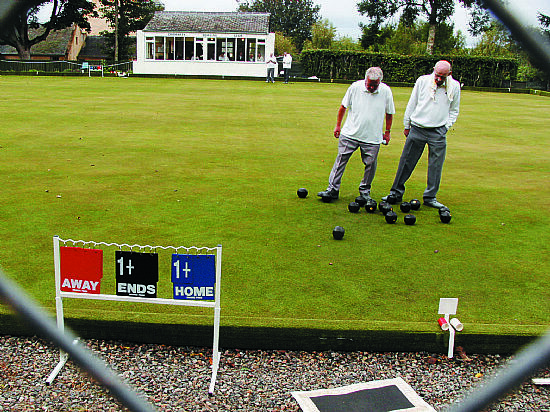 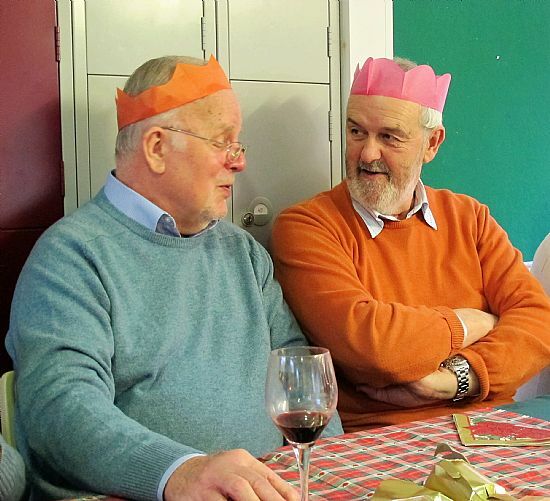 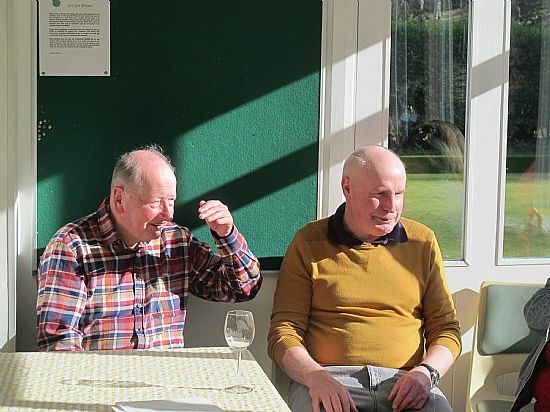 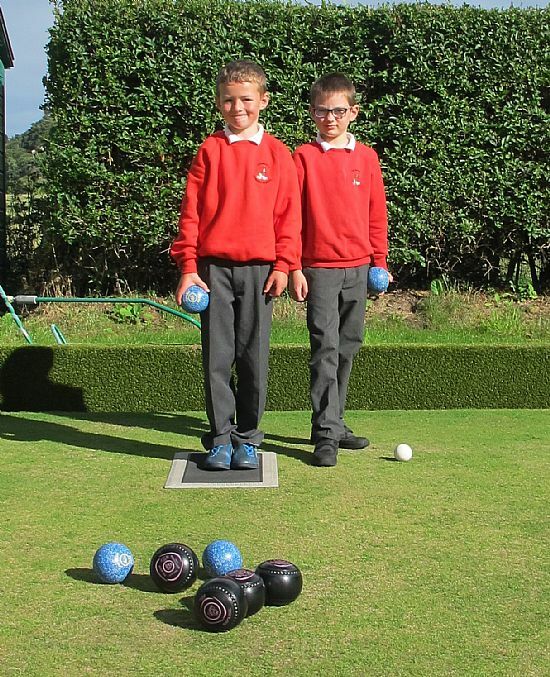 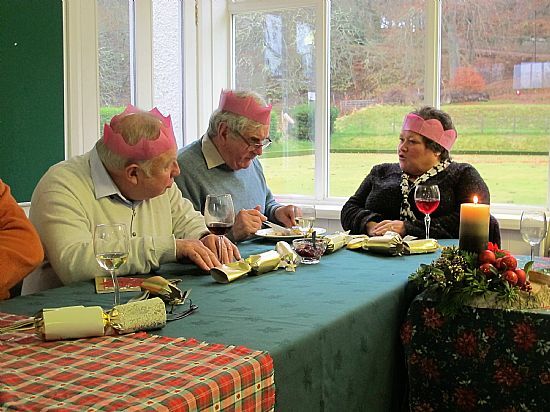 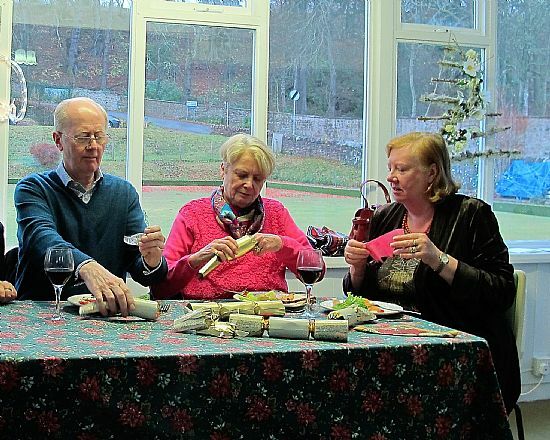 From L to R, from Nairn Bowling Club: Brian McWilliam, Ruth McWilliam, Kevin McWilliam. 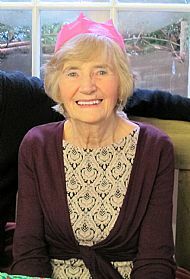 Club President, Evelyn Wilson. 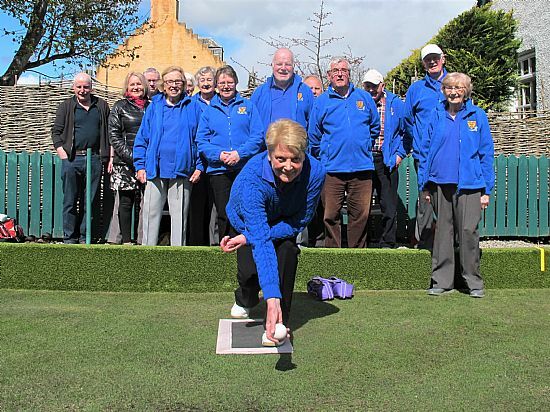 Club President, Rita Storr, officially opened the green for play on Saturday, 28th April 2018. 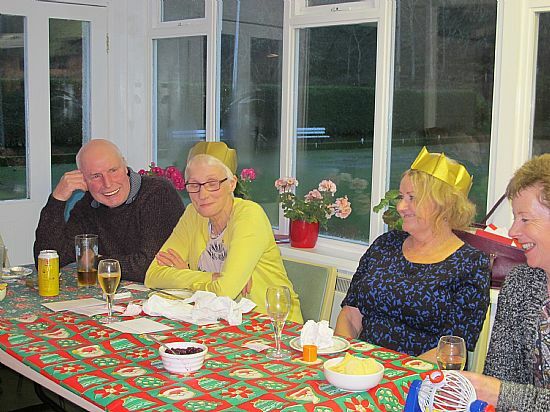 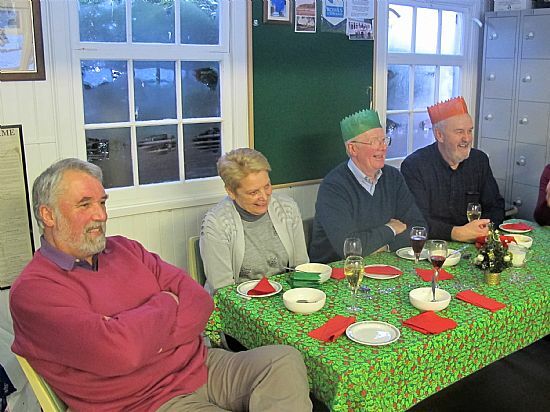 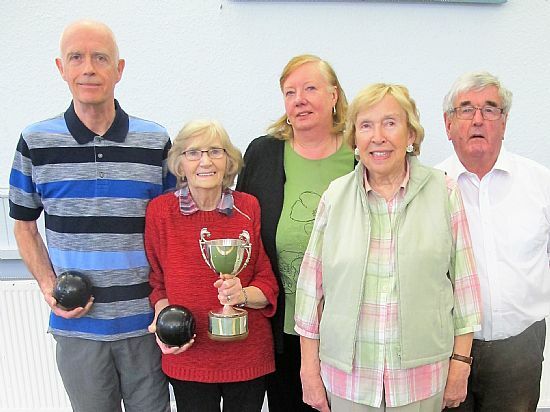 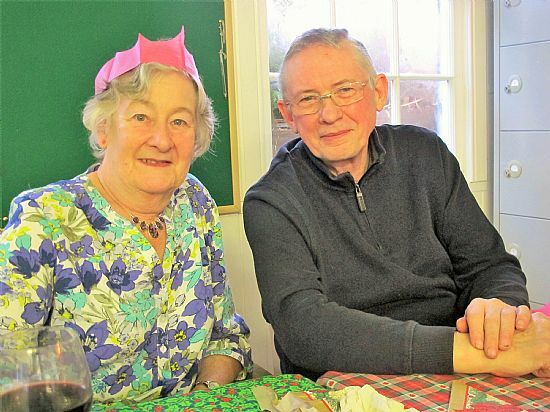 Lydia Webster and David Cowan (on the right of picture) won the 2018 Indoor Pairs competition for the second year running. 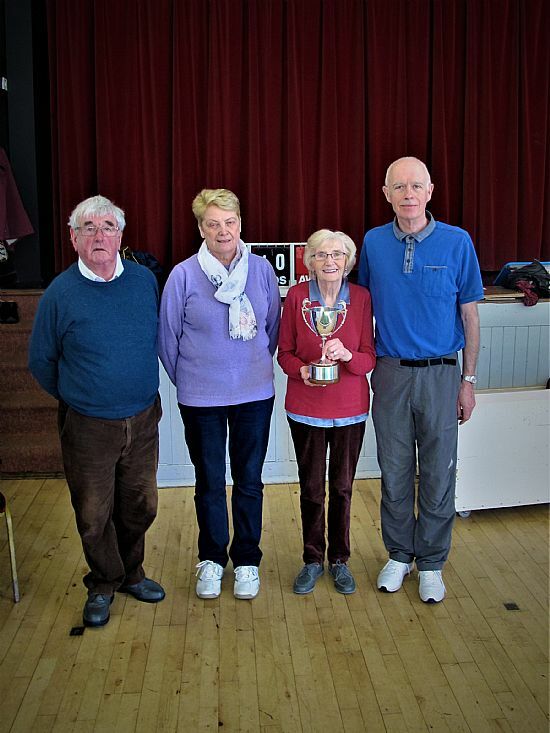 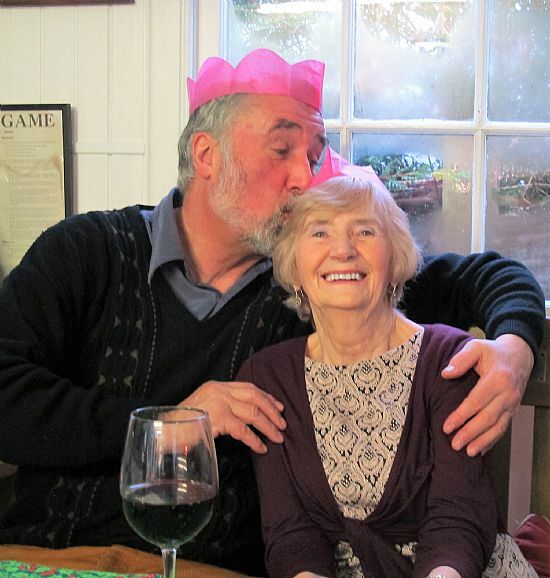 Runners-up were Douglas Cooper and Rita Storr. 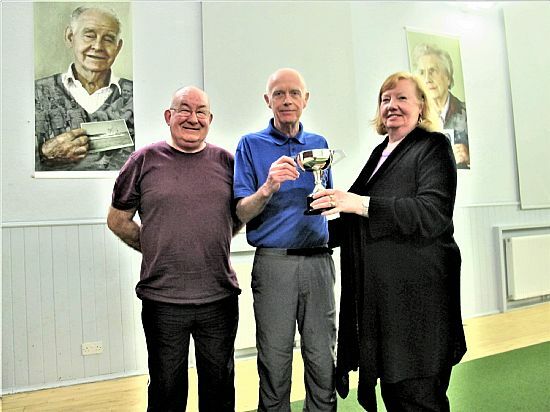 The Jack Mackay Memorial trophy for the indoor singles competition 2018 was won by Ian Thompson on 9th February 2018. 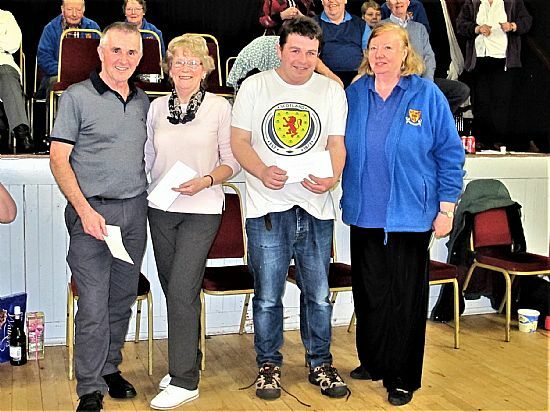 Runner up was Evelyn Wilson. 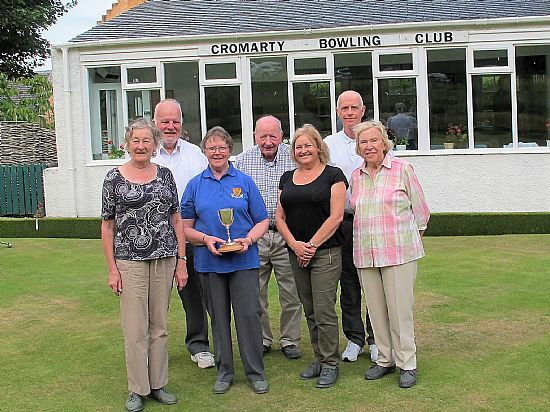 The trophy was presented by Jack Mackay's daughter, Moira Munro. 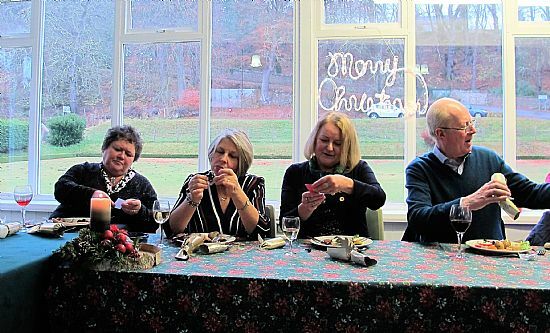 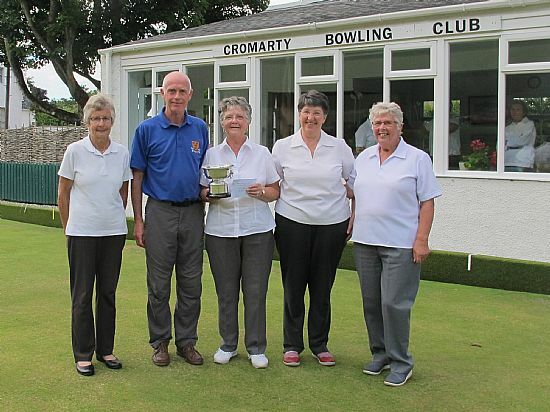 From L to R: Alex Wilson (Club President); Heather Stewart (Umpire); Fiona Graham from Dingwall,(winner); Mairie Gallie from Milton, (runner-up); Helen Fraser from Cromarty, (semi-finalist); Ann Alcorn from Muir of Ord, (semi-finalist). 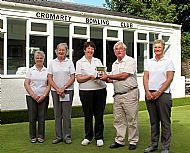 Competitors and markers at the Ladies Singles on 11 August 2017. 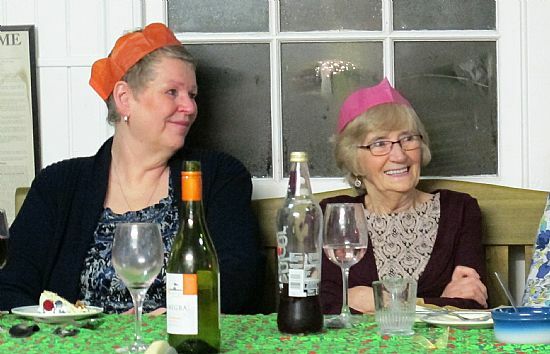 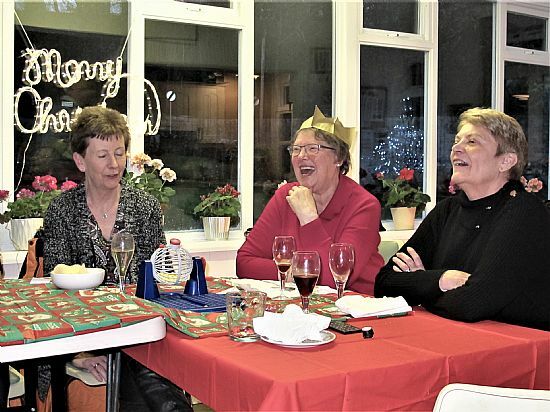 Front row L to R: Pam Thompson (runner-up), Helen Fraser (winner), Moira Munro, Sheila Bartlett. 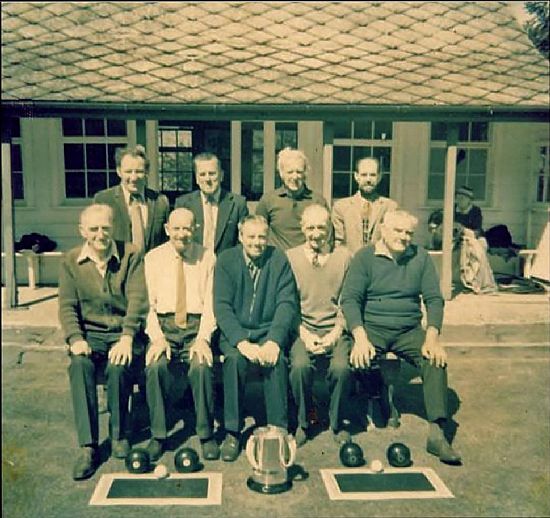 Back row: Alan Hunter, Francis Fraser, David Cowan. 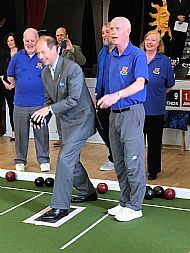 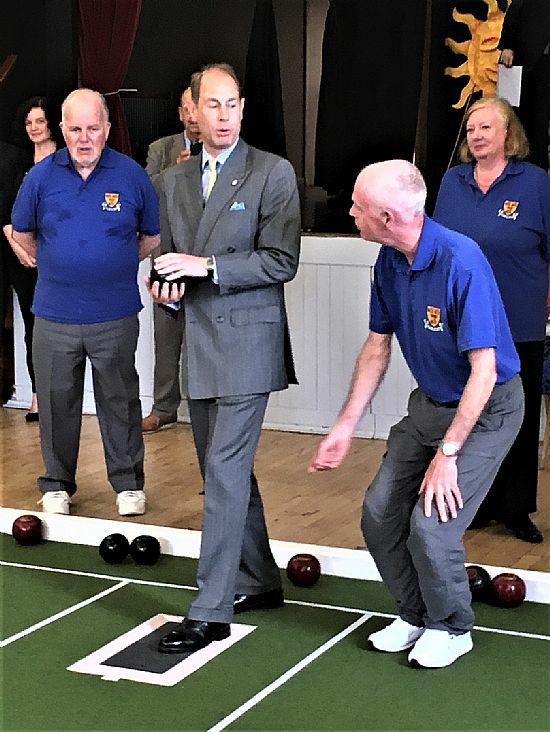 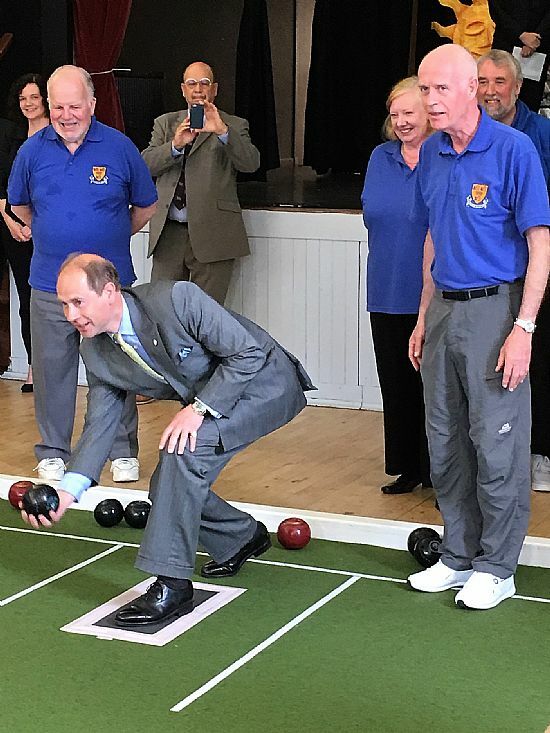 Prince Edward, Earl of Wessex on his visit to Cromarty 26th June 2017. 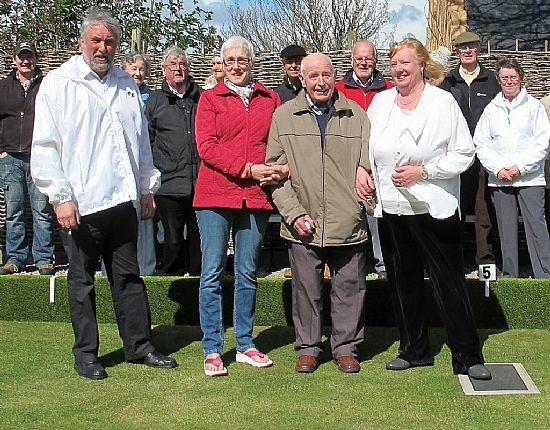 Evelyn Wilson threw the first jack to open the 2017 lawn bowling season on Saturday, 22nd April. 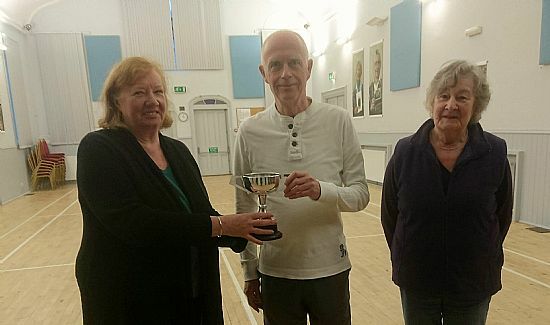 David Cowan and Lydia Webster won the 2016/17 Indoor Pairs Competition. 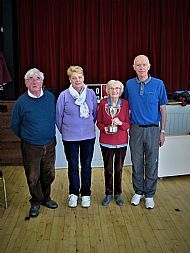 Club President, Evelyn Wilson, presented the trophy. 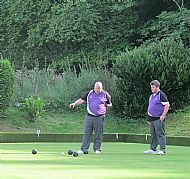 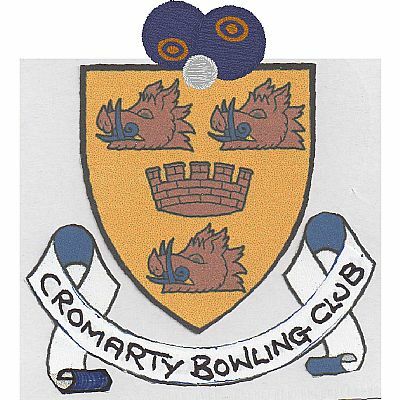 Cromarty had a team in the 2017 final of the Northern Bowling League Indoor Open Fours Competition held at Rosemarkie on 16th March. 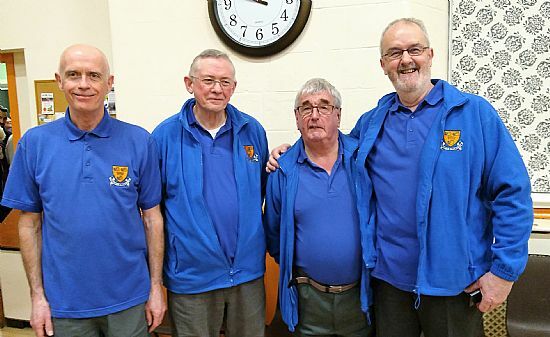 From L to R: David Cowan, Ian Thompson, Douglas Cooper (skip) and Alistair Hourston. 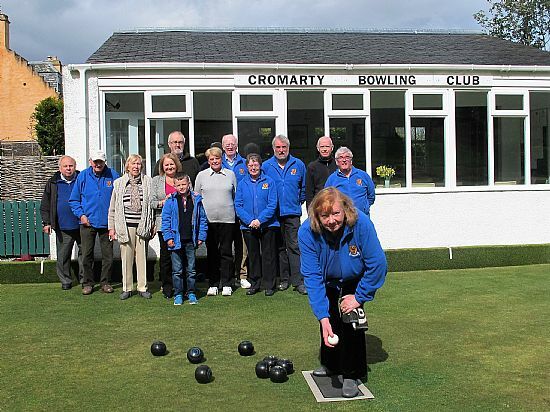 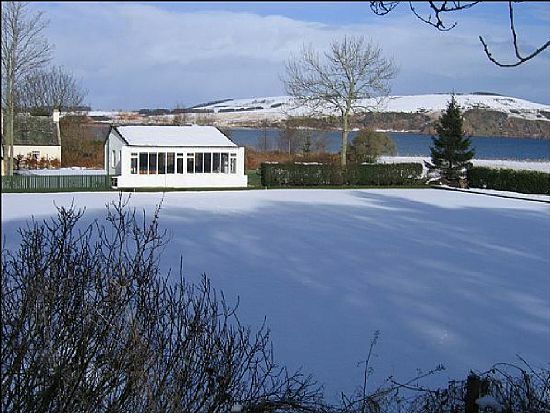 Cromarty last won this competition 45 years ago at the inaugural event (in 1972?) 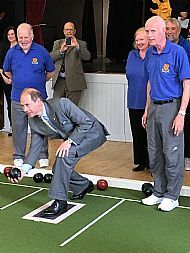 when Douglas Cooper was again in the team. 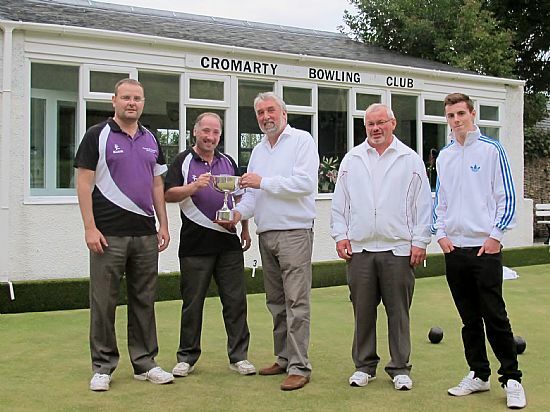 This year the team lost to Alness in the final. 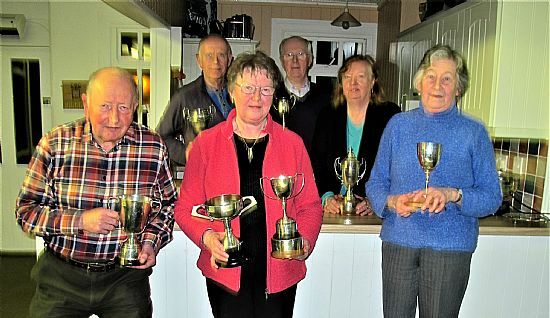 Following the 2017 AGM in the clubhouse on 15th March there was a presentation of Club trophies won during the 2016 outdoor season. 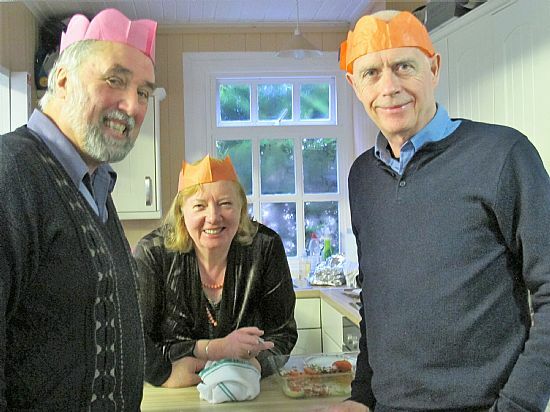 Back row (L to R): David Cowan, Michael Storr, Evelyn Wilson. 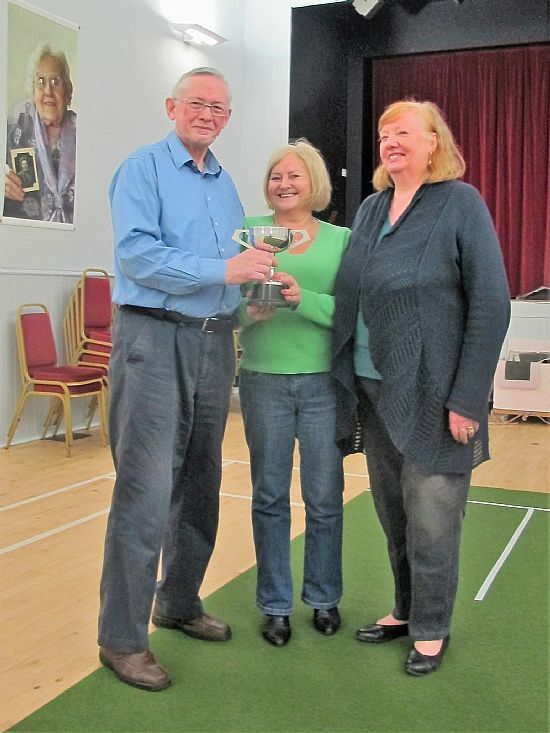 Evelyn Wilson (Club Indoor President) presents the Jack Mackay Memorial trophy to the 2016/17 Club singles champion, David Cowan. 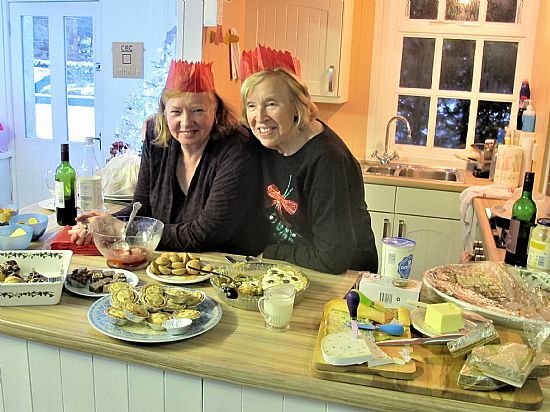 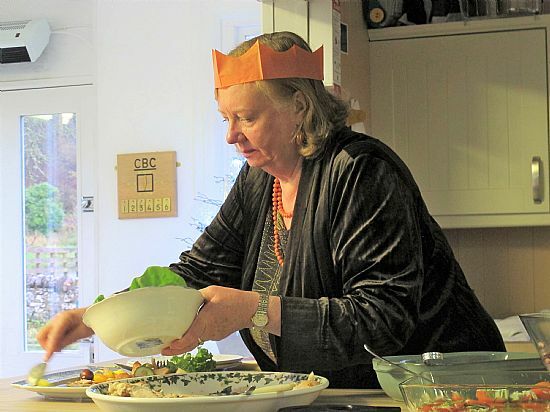 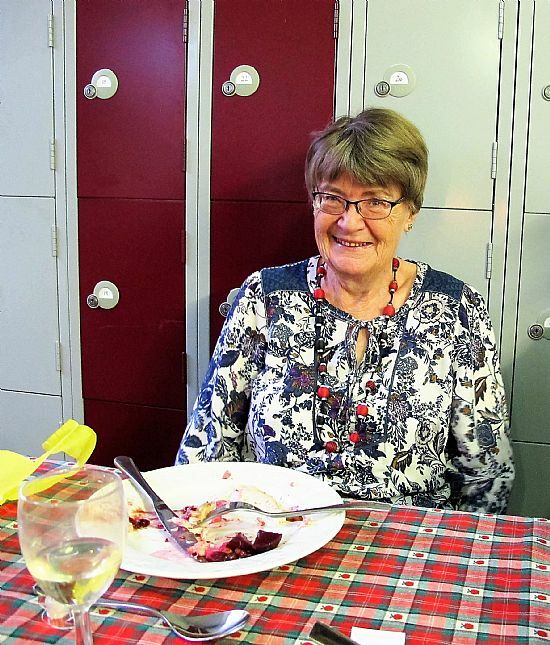 The runner-up was Pam Thompson. 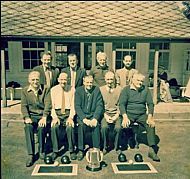 Back Row: Michael Storr, Ian Thompson, Alex Wilson, David Cowan. 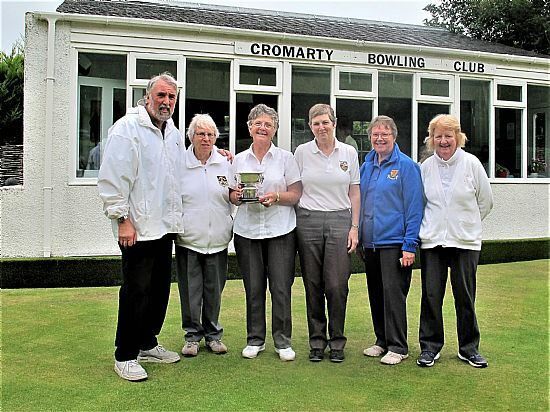 Fiona Graham from Dingwall won the 2016 Ross-shire Ladies' Singles. 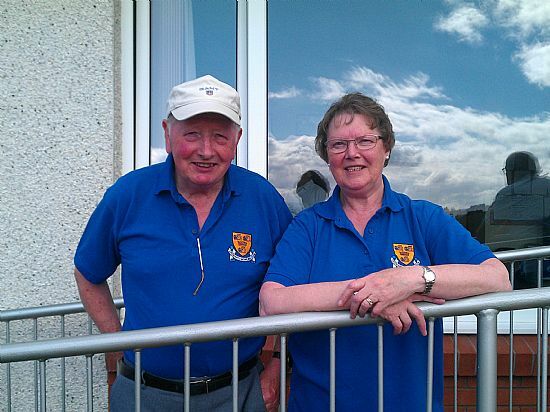 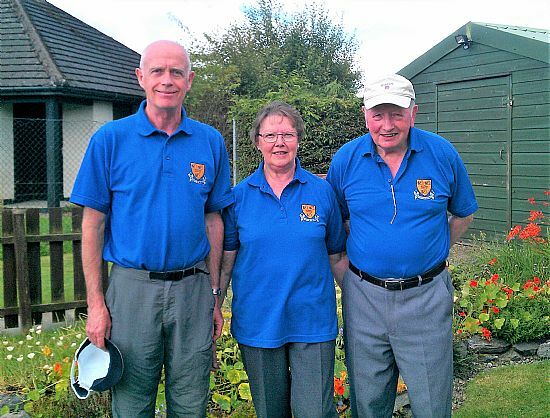 David Cowan, Helen Fraser and Francis Fraser wearing the new Cromarty team shirts at North Kessock triples on 21 August 2016. 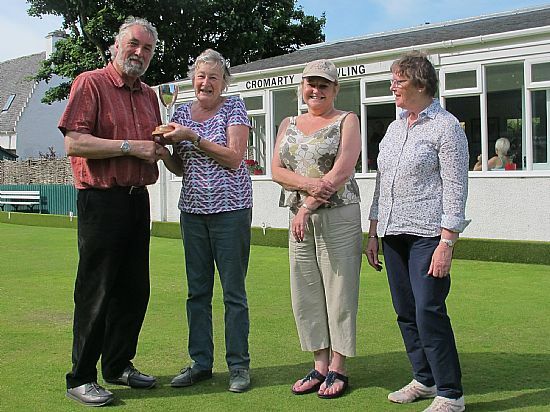 President Alex Wilson presents the Wm Hourston Ladies trophy to the 2016 winner, Pam Thompson. 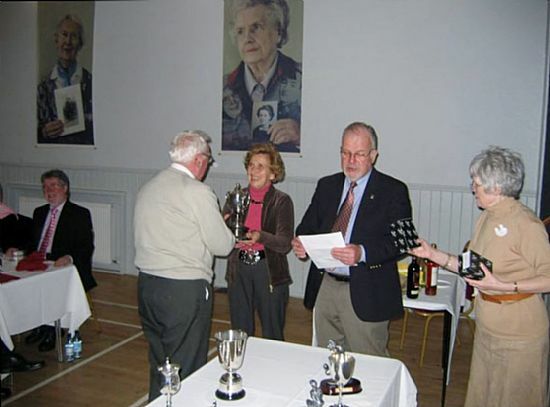 Moira Munro was in 3rd place, and Helen Fraser was in 2nd place. 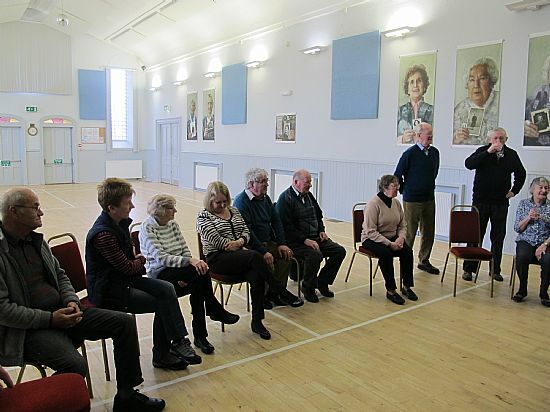 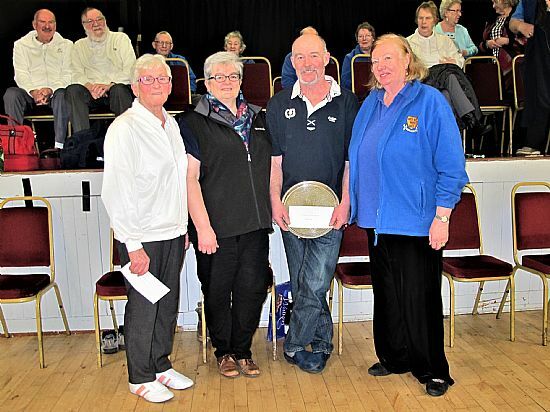 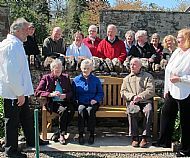 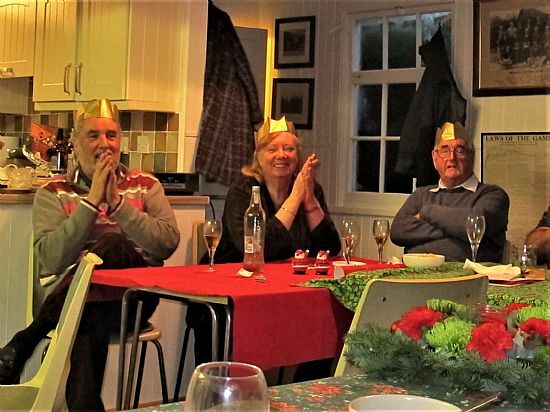 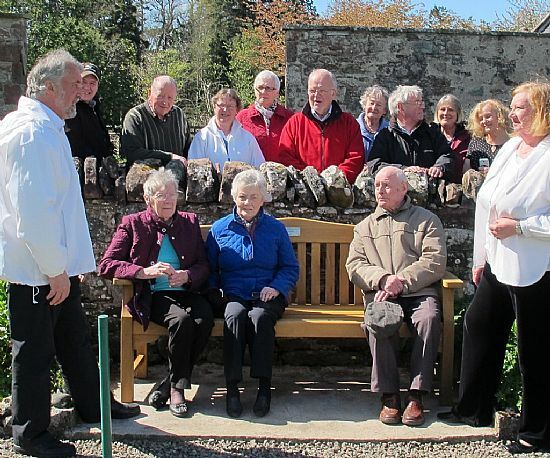 Presentation to the winners of the Cromarty Pairs competition in 2015. 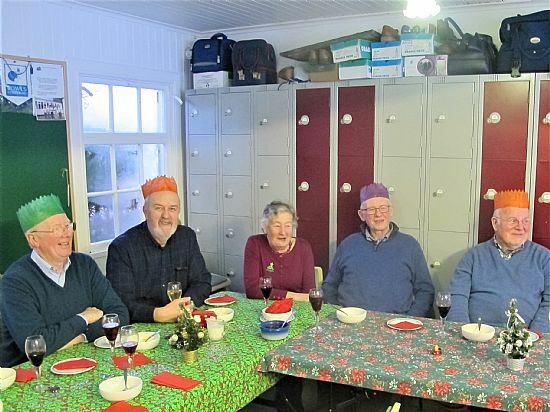 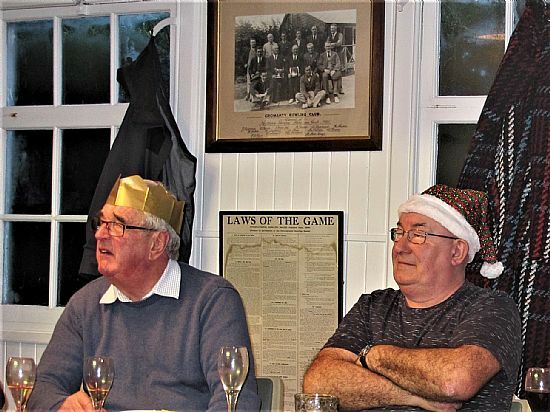 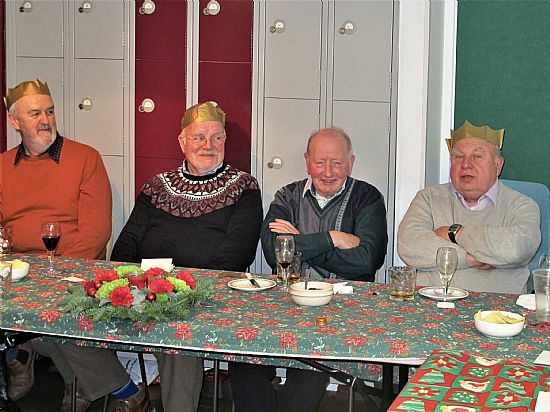 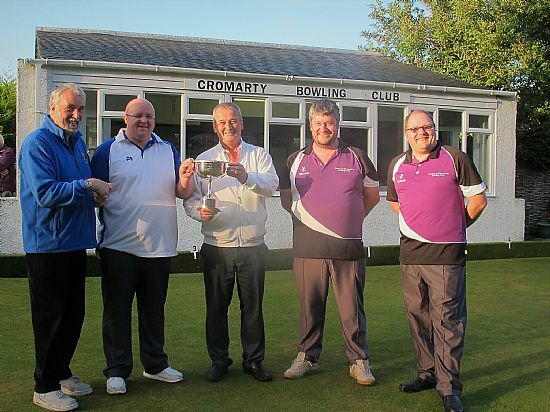 Raymond Williamson (Fortrose), Scott MacRae (Fortrose), (winners 2015), Alex Wilson (Cromarty Bowling Club President), David Bremner (Fortrose), Ryan Bremner (Fortrose). 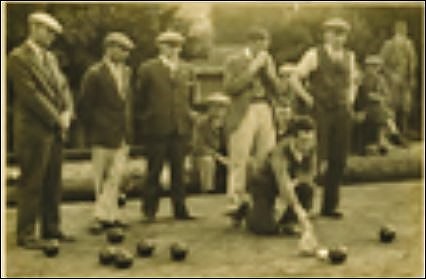 Does anyone know when this competition photograph was taken? 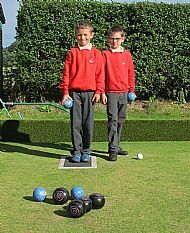 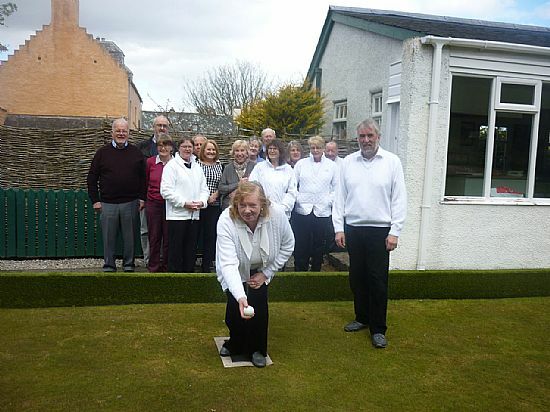 Evelyn Wilson opens the 2016 bowling season by throwing the first jack on Saturday, 30th April 2016. 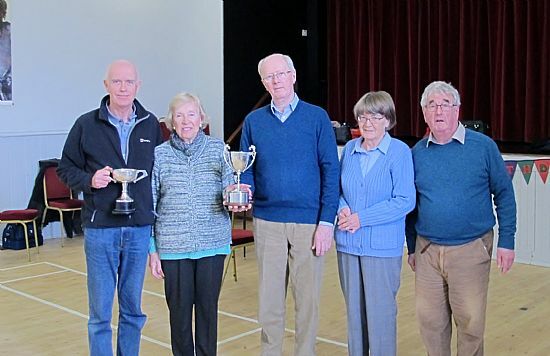 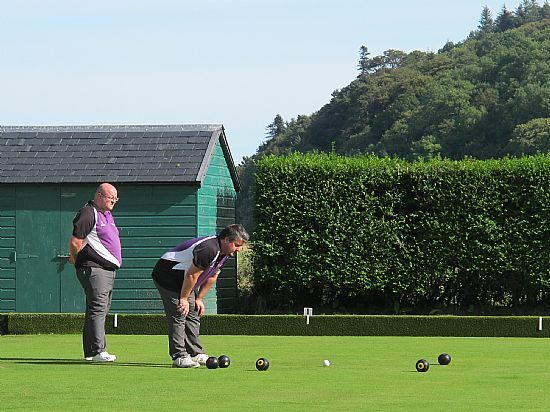 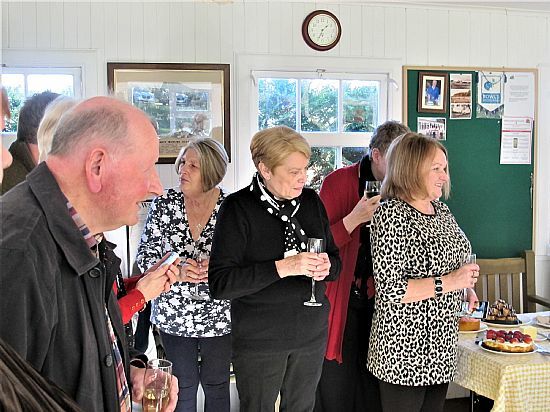 The 2015 Cromarty Pairs competition was held on a warm sunny day on Saturday, 19th September. 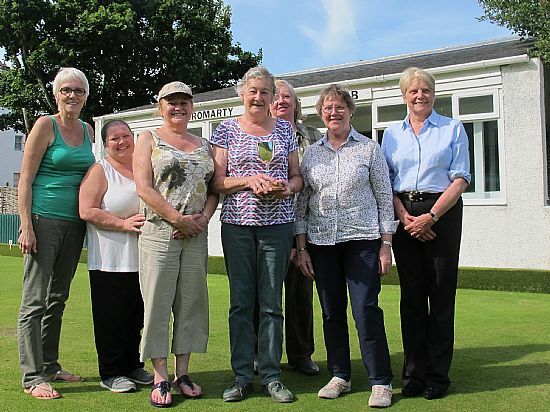 The green was in excellent condition and there was a record number of entries for the competition. 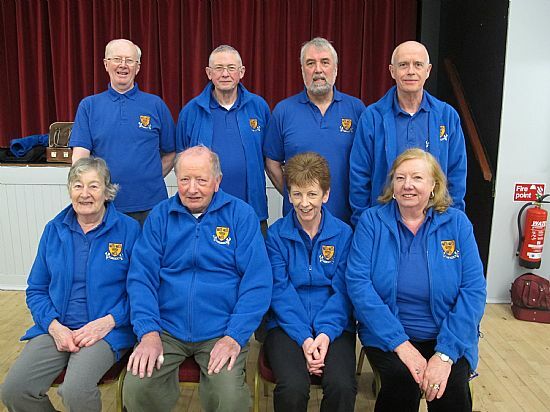 The Indoor Club members marked the end of the 2015/16 season on Sunday, 17th April with a celebration in Victoria Hall for Sheila Bartlett's 80th birthday. 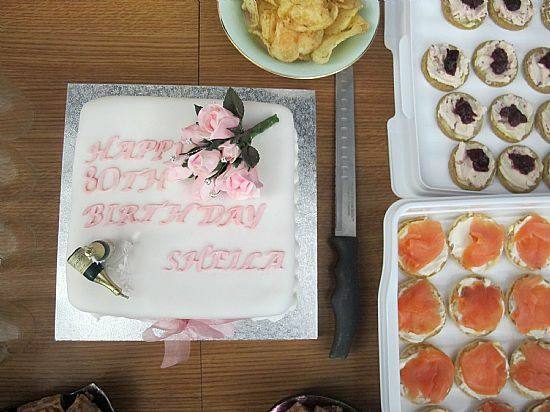 Cake for Sheila Bartlett's 80th birthday in April 2016. 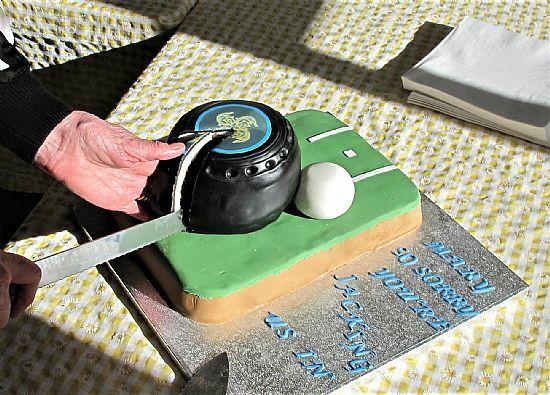 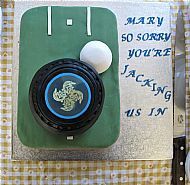 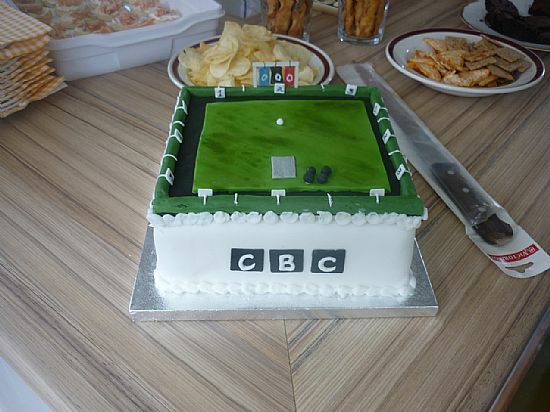 Cake made by Rita Storr for the start of the 2016 lawn bowling season. 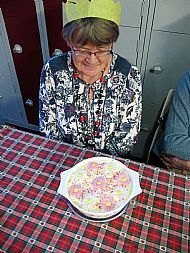 Mary Erskine with her trifle she made for the lunch in the clubhouse. 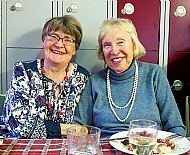 Farewell lunch for Mary Erskine on 3rd March 2017. 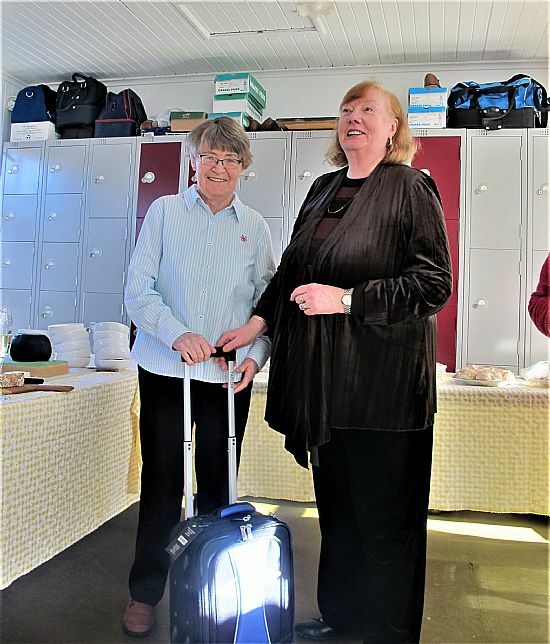 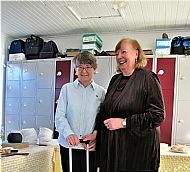 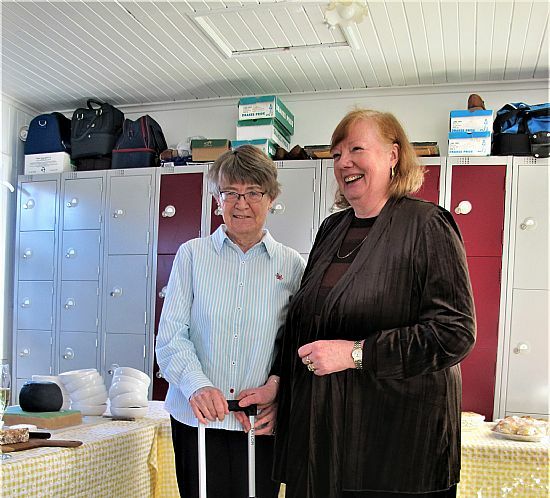 With Indoor bowls president, Evelyn Wilson. 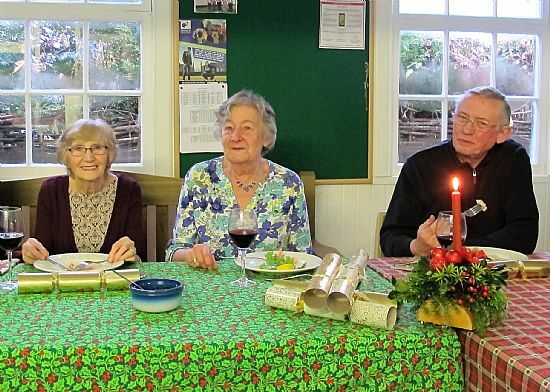 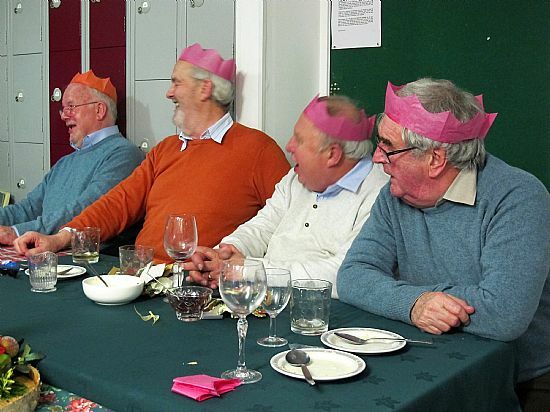 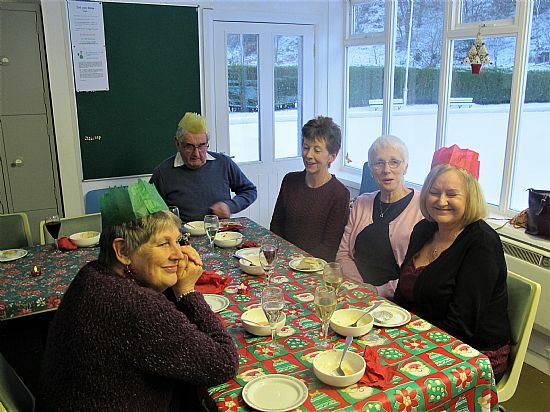 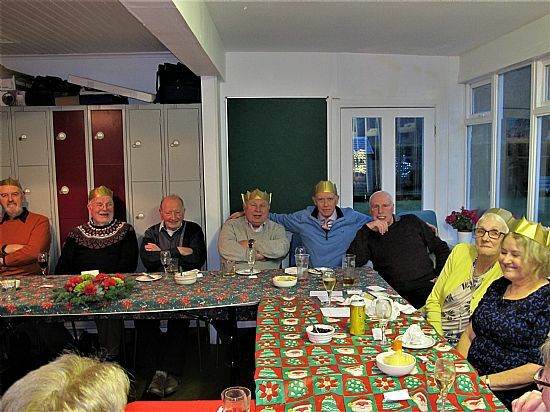 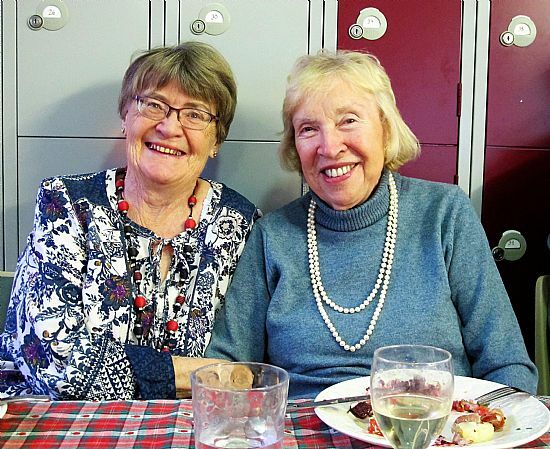 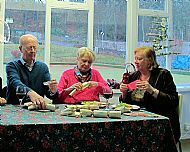 Club members at lunch for Mary Erskine. 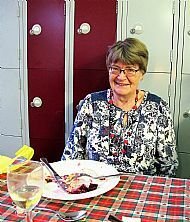 Splendid cake made by Rita Storr for Mary Erskine's farewell lunch on 3rd March 2017. 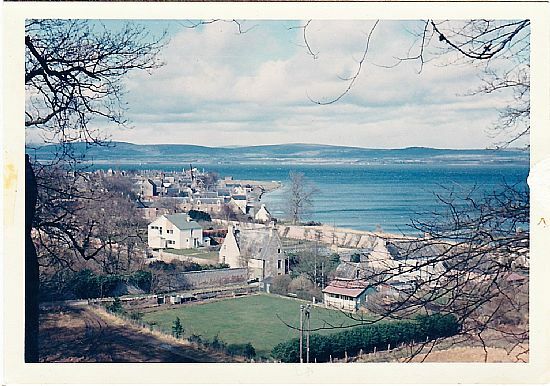 This photo has been scanned from a colour print. 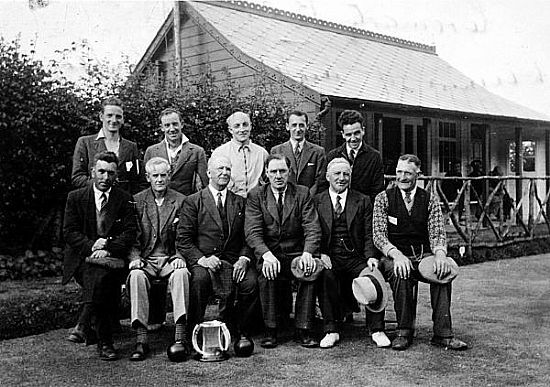 We think it was taken in the 1960's before the clubhouse was extended over the veranda.